Hello and welcome to EuChemS - Brussels News Updates! Welcome to this special issue of Brussels News Updates, dedicated to the upcoming 7th EuChemS Chemistry Congress 2018 that will be taking place this August in Liverpool, UK! With just under two weeks left to go, we will explore some of the highlights that can be expected from this much anticipated event… First of all, expect an outstanding line-up of speakers from across Europe that will be exploring a multitude of issues and developments impacting the chemical sciences. You can also look forward to several significant milestones in our history: the launch of our new name, acronym and logo; as well as the first European Gold Medal Award and the first EuChemS Historical Landmarks Awards. We will also be celebrating the years of dedication and passion of three outstanding people with our EuChemS Award for Service 2018. Take a look below to find out more about the Congress, where you can find us there, and some of the exciting highlights to be witnessed! Read the full newsletter online here. As part of our mission in bringing chemistry closer to the heart of policymaking in Europe, we have updated our Position Paper on what we want out of the next research Framework Programme, Horizon Europe, which will follow the current Horizon 2020. 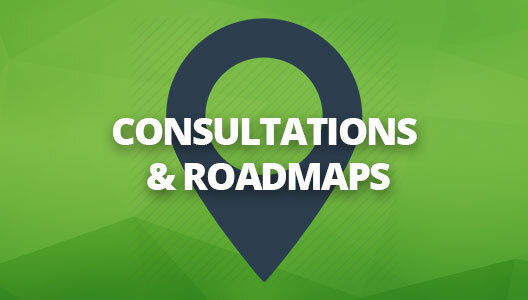 Through a simple info-sheet, we have laid out the areas where we believe greater funding will have an immense impact, and where proposals have been deemed insufficient or misdirected. Read our full debrief here! We hope you are as excited as we with the upcoming EuChemS Chemistry Congress 2018! Our 7th Congress (the first having been held in Budapest back in 2006) is sure to make a splash in the world of Chemistry. 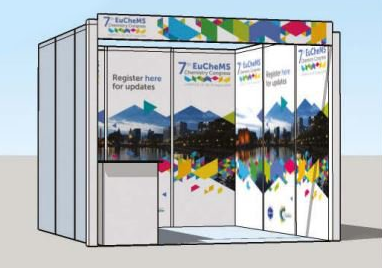 The EuChemS Chemistry Congresses reflect the outstanding research being done in Europe and around the world by bringing together chemists from different countries and professional backgrounds to exchange ideas, advance knowledge and discuss key issues for chemistry and society. Read the full article on our upcoming Congress and take a closer look here at the programme! Looking to find out more about EuChemS, talk to our team and get involved? Join us at our stand, located in the exhibition hall near the entrance to the Plenary Sessions Auditorium! We are also pleased to invite you to come and chat at our stand with Professor Reiner Salzer, one of the awardees of the EuChemS Award for Service 2018 and project leader of the 3rd European Employability Survey for Chemists; and Professor Jan Mehlich, who has played a central role in developing the upcoming EuChemS online course on Chemistry and Ethics. We will also be taking part in several highly relevant sessions - read our summary of where and when to find us! With the Congress already shaping up to be the European Chemistry event of the year not to miss, EuChemS President, Professor Pilar Goya delves into what the Congress encompasses, how it brings together scientists from across Europe and beyond, and how it embraces an increasingly interdisciplinary agenda. Read the Editorial online now from the Gesellschaft Deutscher Chemiker (GDCh) – the German Chemical Society’s Angewandte Chemie journal. EuChemS Past President, and current Vice-President Professor David Cole-Hamilton demonstrates through a thorough and highly informative essay what EuChemS is, how it works, why it does what it does, and what it means for science and policy. You can read Cole-Hamilton’s essay here in Chemistry, a European Journal (ChemPubSoc), which will be open access until September 2018. 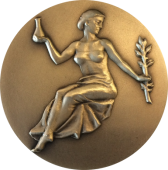 This year's Congress will be all the more exceptional as we celebrate the awardees of three EuChemS Awards: The European Chemistry Gold Medal, which will be awarded to Professor Bernard Feringa for exceptional achievements in the field of chemistry in Europe; the EuchemS Award for Service 2018, to be awarded to Professors Francesco De Angelis, Sergio Facchetti, and Reiner Salzer for their outstanding passion, hard work, and commitment to furthering Chemistry and EuChemS’ aims. And finally, we will also witness the very first EuChemS Historical Landmarks Awards, which will be awarded to the Ytterby Mine in Sweden, and the industrial complex of ABEA, in Crete, Greece. Read more about these awards here! If you had not yet noticed (and we are sure you did! 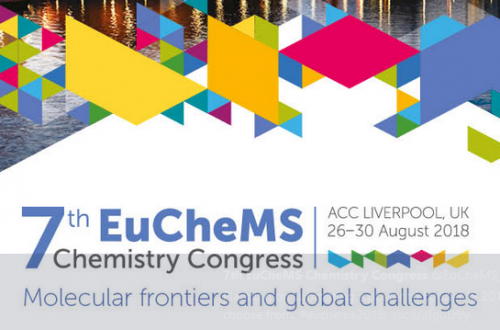 ), EuChemS looks a little different… The EuChemS Congress in Liverpool will also be remembered in yet another way as we officially launch our new name, acronym, and logo! Read all about our new look here! But that's not all! click here to access our full newsletter! 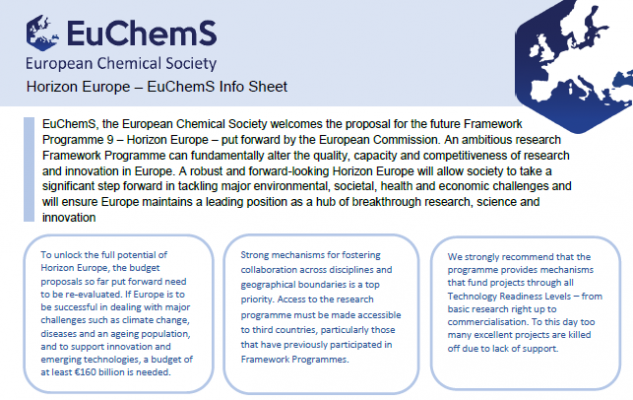 Drop us a line and send us your feedback if you wish to contribute to an EuChemS response! 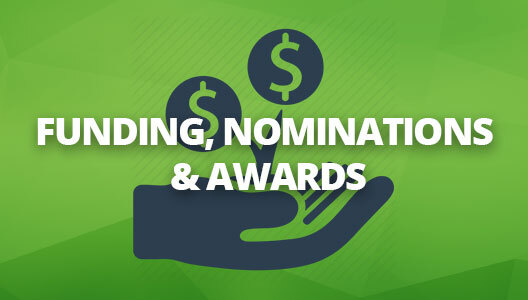 More calls for funding & awards here! On 20 November 2018, the European Food Safety Agency (EFSA) will organise its annual Stakeholder Forum in Brussels, where EuChemS, recently accredited official stakeholder status will be present. The event offers a unique opportunity to network and communicate with scientists, industry and business representatives, NGOs, and European Institutions representatives to discuss the challenges facing Europe’s food sector. The 3rd edition of Chemistry in Europe 2018 is now online! You will find an editorial by Member of the Executive Board Saskia van der Vies, short interviews with the three exceptional awardees of the EuChemS Award for Service, a look at how scientific advice is to best be accessed and managed by policymakers, and an interesting exploration of the history of some of our Member Societies who will celebrating their 100, 125 and 150 years since their founding! Read Chemistry in Europe here! Not yet subscribed? Click here!